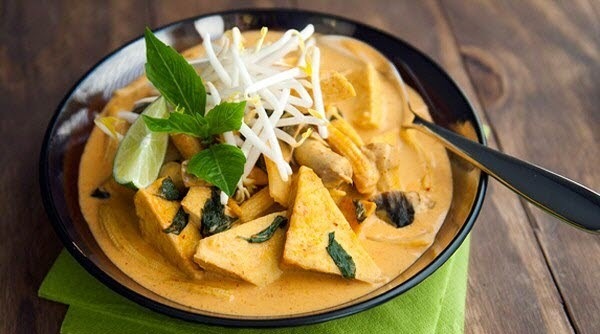 As you clearly know that, Curry originally comes from Thailand Cuisine. However today I will change its flavor to suit with Vietnamese people. 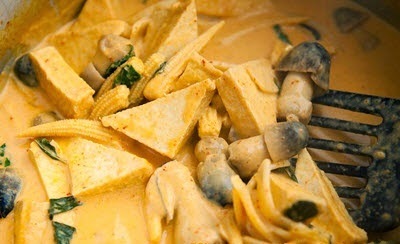 And it is called Mixture Spicy Curry (Cà Ri Cay Thập Cẩm). From many delicious Vietnamese Food Recipes, you can cook this dish for New Year Day. I think it could become a stunning meal for your beloved family and friends in that day. Eating it with boiled rice or bread is all good choice. What are you planning for your New Year party? It you still cannot think any dish, you can follow our instructions below to create one of amazing Vietnamese Food Recipes. I bet you will not regret about this decision. And let us start cooking now. 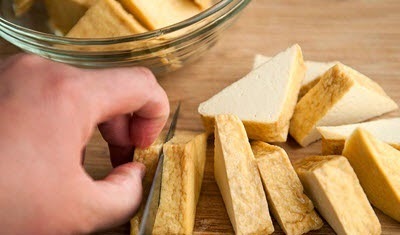 Step 1: Cut tofu into medium pieces like photo below. Add 1 tablespoon into pan, wait to hot, bring sliced tofu to fry until they turn brown yellow all faces. 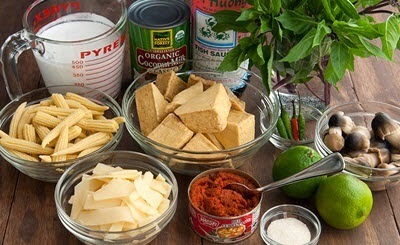 Step 2: Here is the important step to create the flavor one of amazing Vietnamese Food Recipes. Heat the clean pot again, add 1 tablespoon oil + chili curry sauce + 120ml coconut milk into pot; cook with medium heat until it is fragrant. Step 3: Next, pour the left of coconut milk into pot, then add more fish sauce + sliced chili + fried tofu + young corn + straw mushroom and bamboo shoot. Step 4: Add some basil leaves into pot and cook with medium heat until it boils. 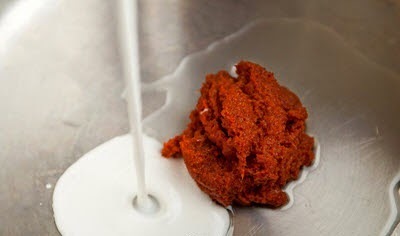 Step 5: Stir well and continue cook for 20 minutes and season again to suit your flavor. Turn off the heat. 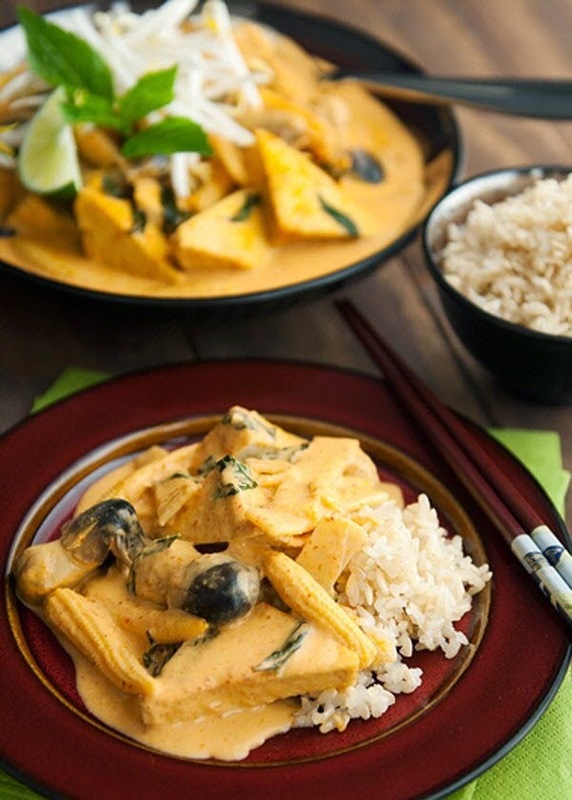 Finally, you finished one of stunning Vietnamese Food Recipes from us. 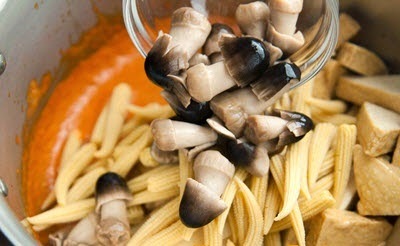 I bet it will be a great dish to celebrate New Year with your beloved family and friends. 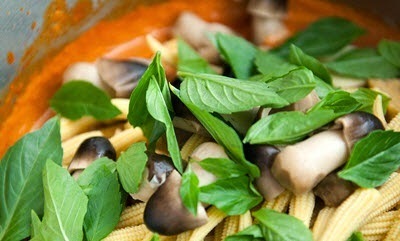 When serving, scoop into bowl, add more basil leaves; bean sprout and lemon juice on face and ready to enjoy. It is perfect when it is hot and using with bread or boiled rice. Hope you love this dish. Good Luck for your Cooking and Happy New Year.